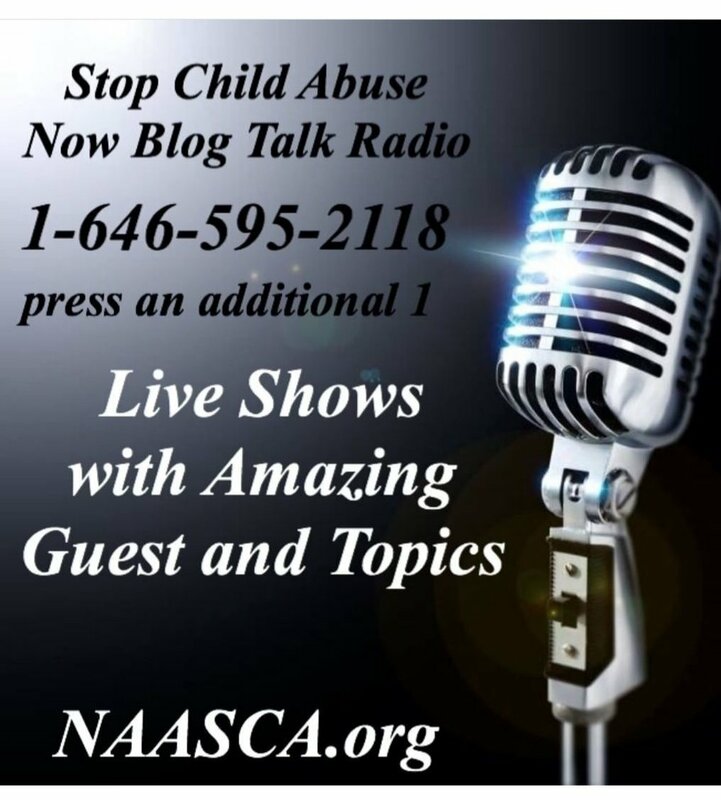 8pm EST, 5pm PACTonight's special guest is Lisa Zarcone from Springfield, Massachusetts, a returning NAASCA family member and the NAASCA Ambassador for her state. A child abuse survivor, she's the author of "The Unspoken Truth, A Memoir." Her book is about childhood neglect and abuse at the hands of my severely mentally ill mother and others. Lisa says, "I wrote my story to promote awareness for mental health issues, child safety and to bring a voice to so many who have the same unspoken truth as myself." She uses three words to describe her childhood experiences: horrific, disgusting and hideous. Her home life left a lot to be desired. "My mother would bring all types of strange people into our home, which set me up as prey." Lisa buried the abuse deep inside herself for years. "I fought daily battles with myself to get beyond it. I was still battling my mother daily as I was growing into womanhood." Eventually she married and had children of her own. "I had severe panic attacks, flashbacks and depression. I thought I was crazy and terrified of being like my mother." Lisa says, "I found an incredible therapist who helped me bring my deep dark secrets to the light of day and release them. I had to face my husband and share things with him that he never knew about me after ten years of being together. It was a long painful journey." Then Lisa's father died, which brought up flashbacks. But her therapist explained she was not crazy. She was suffering PTSD. "I had to then jump back into my past and deal with more buried memories, which brought me to deciding to write my book."